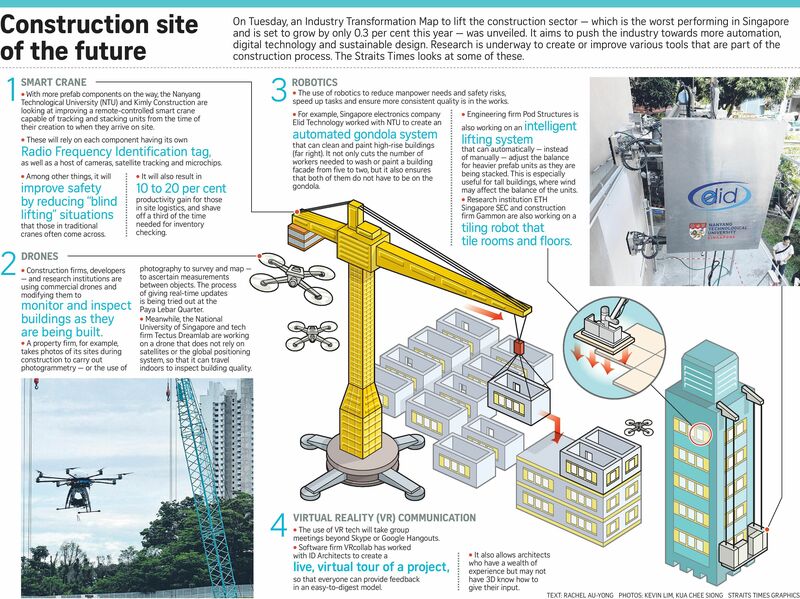 On Tuesday, an Industry Transformation Map to lift the construction sector — which is the worst performing in Singapore and is set to grow by only 0.3 per cent this year — was unveiled. It aims to push the industry towards more automation, digital technology and sustainable design. Research is underway to create or improve various tools that are part of the construction process. The Straits Times looks at some of these.